Oakland, CA (May 18, 2016)— Over 350 academics from around the world have signed a petition to free renowned Palestinian astrophysicist Imad Barghouthi, including Angela Davis and Noam Chomsky, along with notable physicists and mathematicians such as Freeman Dyson, Professor Emeritus of Physics at the Institute for Advanced Study in Princeton; David Mumford,Professor Emeritus of Mathematics at Brown University, Fields Medal 1974; and Chandler Davis, Professor Emeritus of Mathematics at the University of Toronto. Dr. Barghouthi, Professor of Theoretical Space Plasma Physics at Al-Quds University, is a leading researcher in his field, having previously worked for NASA. This is the second time in the last 15 months that Dr. Barghouthi has been arrested by Israeli forces, ostensibly for incitement on social media. 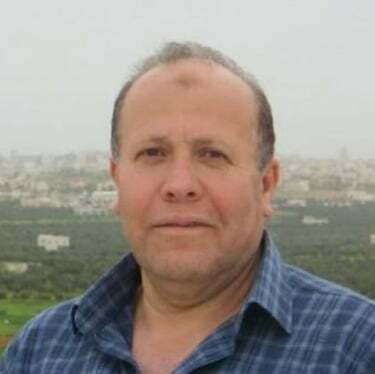 As of May 11, Dr. Barghouthi has been sentenced to two months administrative detention, a commonly used policy to hold Palestinian prisoners without charges or trial, and his sentence can be renewed indefinitely. There are approximately 700 Palestinian prisoners currently being held in administrative detention, several of whom are currently on hunger strike to protest the policy of indefinite detention without charge. The petition is a joint organizing effort between US Academic and Cultural Boycott of Israel, the Association of Academics for the Respect of International Law in Palestine (AURDIP) and Jewish Voice for Peace’s Academic Advisory Council. Over 300 European academics signed a separate letter to the European Commissioner for Research, Science and Innovation drawing his attention to the renewed detention of Imad Barghouthi, and calling upon him to request the suspension of the EU Association Agreement until Israel releases Professor Barghouthi. The letter was coordinated by AURDIP, the Belgian campaign for the Academic and Cultural Boycott of Israel (BACBI) and the British Committee for the Universities of Palestine (BRICUP). Jewish Voice for Peace (jvp.org) is a national, grassroots organization inspired by Jewish tradition to work for a just and lasting peace according to principles of human rights, equality, and international law for all the people of Israel and Palestine. JVP has over 200,000 online supporters, over 60 chapters, a youth wing, a Rabbinic Council, an Artist Council, an Academic Advisory Council, and an Advisory Board made up of leading U.S. intellectuals and artists.